The Armenian Church accepts the first three ecumenical councils of the Church. They are the Council of Nicea (325 A.D.), the Council of Constantinople (381 A.D.), and the Council of Ephesus (431 A.D.). Her doctrines are founded upon the creeds and the dogmas of these councils. The Nicean Creed is a major basis of the doctrine of the Armenian Church. 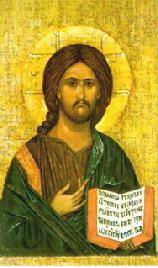 According to the doctrine of the Armenian Church, Christ is at one and the same time perfect God and perfect man. CHRIST IS GOD BECOME MAN. Neither His Divine nature nor His human nature are separated. These natures are united so that they are indivisible. Hence, we speak of the ONE NATURE of Christ (according to the formula of St. Cyril of Alexandria), "en mia physis." The Armenian Church also believes that the Holy Spirit proceeds from the Father alone and does not teach the western doctrine of the "Filioque." The Armenian Church administers the seven sacraments and upholds the inspiration of the Holy Scriptures. She also ordains Deacons, Priests, and Bishops. The Divine Liturgy is the central act of worship in the Armenian Church. She accepts both the Holy Scriptures and Apostolic Tradition as comprising the single Orthodox rule of faith. We believe in One God [Deut 6:4, Mk 12:29, 1 Cor 8:6], the Father Almighty [Rev 16:7, Eph 4:6, Mt 6:9], maker of heaven and earth, of things visible and invisible [Gen 1:1]. And in one Lord, Jesus Christ [Lk 2:11, 1 Cor 8:6, Jam 1:1], the Son of God [Mt 3:17, 17:5], begotten of God the Father [Psalm 2:7], only-begotten [Jn 1:18], that is of the substance of the Father [Jn 10:30, Heb 1:3]. God from God [Jn 11:42, 10:30], light from light [Jn 8:12], true God from true God [Jn 17:3, 10:30], begotten and not made [Ps 2:7] of the same nature of the Father [Jn 10:30, Heb 1:3], by whom all things came into being in heaven and on earth, visible and invisible [Col 1:16, Jn 1:1-3]. Who for us men and for our salvation came down from heaven [Jn 6:38, Mt 1:21], was incarnate [Jn 1:14], was made man [Jn 10:33, 1 Cor 15:47], was born perfectly of the holy Virgin Mary by the Holy Spirit [Lk 1:35]. By whom he took body, soul and mind and everything that is in man, truly and not in semblance [Lk 24:39, 1 Jn 1:1, Jn 11:38, Lk 23:46]. He suffered [Heb 2:18, 13:12] and was crucified [Mk 15:25] and was buried [Mk 15:46, 1 Cor 15:3-4] and rose again on the third day [Mt 20:19, 28:6], and ascended into heaven with the same body [Lk 24:51, Mk 16:19], and sat at the right hand of the Father [Mk 16:19, Acts 7:55, Eph 1:20]. He is to come with the same body [Acts 1:11] and with the glory of the Father [Mt 16:27] to judge the living and the dead [1 Pt 4:5, Mt 16:27]; of His Kingdom there is no end [Lk 1:33, Jn 18:36]. We believe also in the Holy Spirit [Mt 28:20, Jn 14:15-17, Heb 3:7, Heb 10:15, 1 Tim 4:1], the uncreate and the perfect [Jn 15:26]; who spoke through the Law and through the prophets and through the Gospels [Heb 1:1-2, Neh 9:30]; who came down upon the Jordan [Mt 3:16, Jn 1:32], preached through the apostles [Acts 2:4] and dwelled in the saints [1 Cor 3:16, Acts 4:31].